The U.S. Food and Drug Administration today approved Inflectra (infliximab-dyyb) for multiple indications. Inflectra is administered by intravenous infusion. This is the second biosimilar approved by the FDA. A biosimilar product can only be approved by the FDA if it has the same mechanism(s) of action (but only to the extent that the mechanism(s) of action are known for the reference product), route(s) of administration, dosage form(s) and strength(s) as the reference product, and only for the indication(s) and condition(s) of use that have been approved for the reference product. The facilities where biosimilars are manufactured must also meet the FDA’s standards. US Food and Drug Administration. 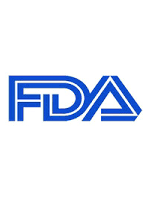 FDA approves Inflectra, a biosimilar to Remicade. Updated April 5, 2016.